We are engaged in offering a wide range of PLC Logo to our valued customers.The product we offer is durable and robustly constructed that are widely acknowledged for their excellent functioning and user friendly operation. With a nano-sized footprint, AB Bulletin 2080 Micro810® Programmable Logic Controller Systems function as smart relays with high-current relay outputs, but with the programming capabilities of micro-PLCs. 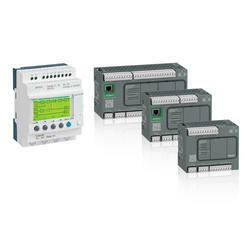 These controllers support 12 I/O points with 4 high current relay outputs (8A) for smart relay applications. Here the clients get all the new PLC Drive make of Schneider electric. 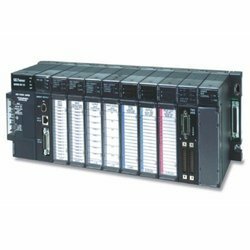 Capacity: Control Up To 128 Connected I/O, Or Up To 256 I/O With CC-Link Remote I/O. ARC Auto Tech Pvt. Ltd. Designed specifically for the automation of electromechanical processes, the RS Components range of PLCs, Human-Machine Interfaces and Logic Modules will revolutionise your process control system. Featuring expert brands like Siemens, Omron, Mitsubishi and Schneider Electric.